Movie fans set the internet ablaze yesterday when it was announced that Christian Bale is to play the eponymous hero in the new Mr Bean reboot. 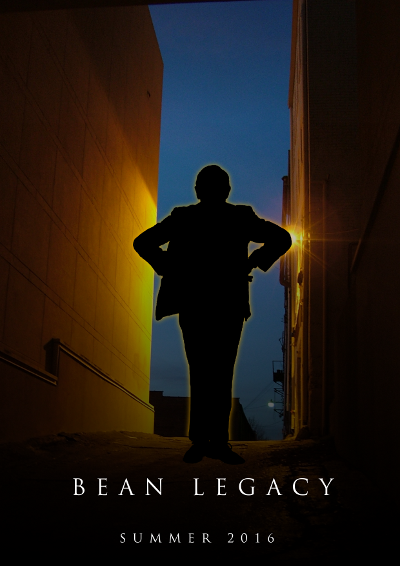 Bean Legacy will start shooting next month and promises to take the franchise in a new and exciting direction. "This is something that I've wanted to do for some time," said director Quentin Parks. "I grew up watching Mr Bean as a kid, but I always thought that there was a darkness lurking behind that gawky, clumsy exterior. You realise that what you're watching is a wounded and damaged soul that can only really find peace by venting his frustration in fighting crime and wreaking vengeance on those who sought to destroy him." The new Bean promises to be very different to Rowan Atkinson's comic original. Gone are the tweedy suits, the battered teddy bear and the clapped out Mini. Instead, Bean will have moulded Kevlar body armour, a secret lair packed with surveillance equipment and a specially designed 'Beanmobile'. Meanwhile, Bale is eagerly anticipating bringing his interpretation to the screen. "Yeah, this character Bean," he told us. "I think I understand the guy. We've talked about it a lot. We've workshopped it. And yeah - I totally get him. He's a loner. He feels that society has passed him by. But there's something that drives him - I don't know what you'd call it. A sense of justice, maybe. An anger that needs to be quenched. Whatever. I just totally know that he is he kind of guy who spends his nights stalking the lawless streets of Gotham - or wherever - protecting the weak and helpless, taking down the bad guys. No question." The movie is expected to hit cinemas next summer and pundits are already debating how it will perform against next year's other big hitter Teletubbies: Rise of the Machines. You like chips. You like lots of chips.